Commercial Hot Water Solutions Ltd (CHWS) is a privately owned business that was established in June 2013 by Andy Clifford with Rich Bailey joining as Sales Director in January 2015. CHWS source a range of commercial water heating products from across Europe and distribute these through the major merchant chains across the UK. CHWS is also a Bosch recognised supplier of high quality commercial and industrial hot water generators and storage vessels for use with the Bosch Commercial and Industrial range of boilers and water heaters. The business specialises in supplying commercial hot water solutions to new commercial/industrial builds as well as refurbishment projects. With Andy focussing on the supplier/procurement processes and technical and merchant sales, Rich works nationally with specifiers and building services consultants to get CHWS’s plant and equipment specified on refurbishment and new build projects. 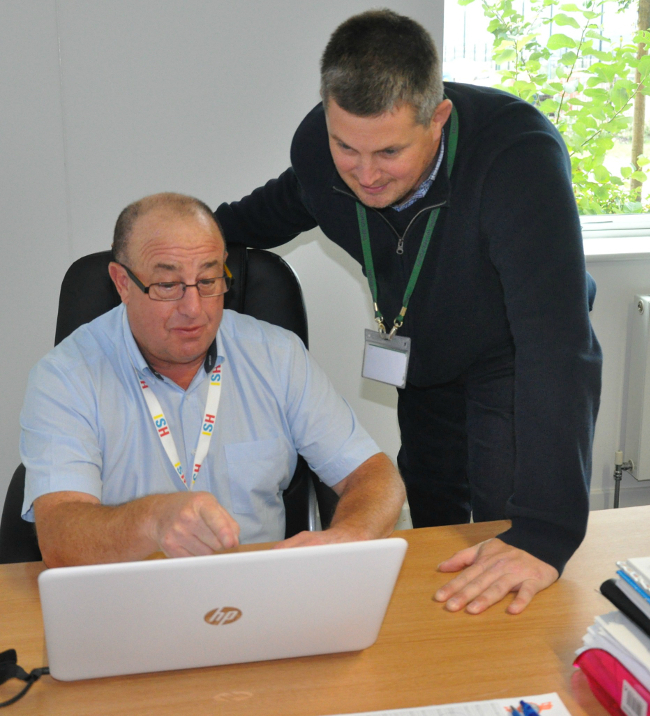 To support them, Rich Davies, their Sales and Admin Manager is office based at The Hive. When did you move into the Hive? Why did you choose The Hive? Following a period of working from out of a home-based office, it was time to establish a professional office space and with the flexibility of easy-in/easy-out terms and having space for expansion, The Hive fitted the bill. How have you found The Hive experience so far? It’s been excellent – the staff are great, the costs are inclusive, so it’s good knowing that everything is combined into one bill and there are great facilities available to residents. It’s also the home of North Somerset Enterprise Agency, so there’s always lots going on which we can participate in as a local business. The office space is ideal for start-ups as well as established businesses, so if you’re looking for an office with a fixed overhead cost, with great resources and support from The Hive’s staff and you want to work in a flexible and enthusiastic community, then The Hive is the place to have an office. Hive Five – QED Advanced Systems / ResourceXpress Inc. If you would like to be part of the buzz and join a thriving, diverse and exciting business community where your business will be encouraged to succeed and grow please contact us for an informal chat. We’d love to hear from you!